Tennis is a great sport, and tennis courts can be a coveted amenity of any apartment complex, neighborhood or country club community. However, it is important to keep a tennis court clean and playable. 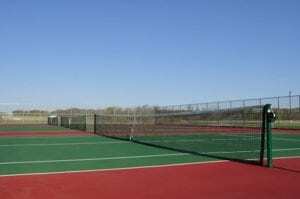 The best way to ensure that your local tennis court looks great and is maintained properly is to hire a professional North New Jersey exterior cleaning company like Softwash Ranger. 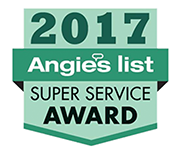 Our technicians have the proper experience and training to clean specialty exterior surfaces including tennis courts. We use a patented soft washing process to remove built up dirt and grime without harming the finished surface. 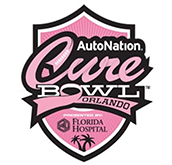 We recommend using our SoftWash Systems™ technology instead of a high-powered pressure washer. This system involves using, biodegradable non-hazardous chemicals that eat away at dirt, mud, mold, mildew or other build up. The chemicals and remaining particles are washed away with a low pressure watering system to leave you with a clean, solid court, free of surface damage. You can depend on Softwash Ranger for high quality results. Our technicians have the proper experience and training to clean specialty exterior surfaces including tennis courts. We use a patented soft washing process to remove built up dirt and grime without harming the finished surface. We recommend using our SoftWash Systems™ technology instead of a high-powered pressure washer. This system involves using, biodegradable non-hazardous chemicals that eat away at dirt, mud, mold, mildew or other build up. 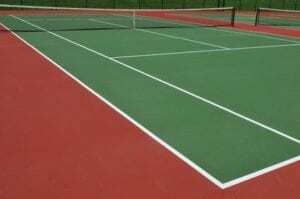 A tennis court is made of strong, durable material such concrete or asphalt usually covered with a synthetic/acrylic layer . 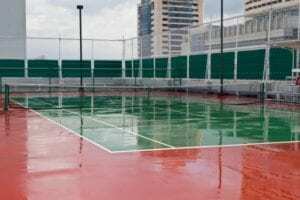 The foundations of these courts are made to last through long years, but that doesn't mean that your tennis court isn't going to get dirty and need periodic maintenance. Over time, you will notice the buildup of leaves, fallen debris, mildew stains, rust stains and more. Thankfully, these are things that can easily be fixed by a professional exterior cleaning service. 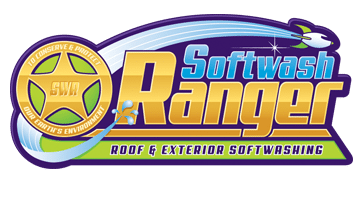 When you notice your tennis court isn't living up to the high standards of your neighborhood or community, it is time to call Softwash Ranger.